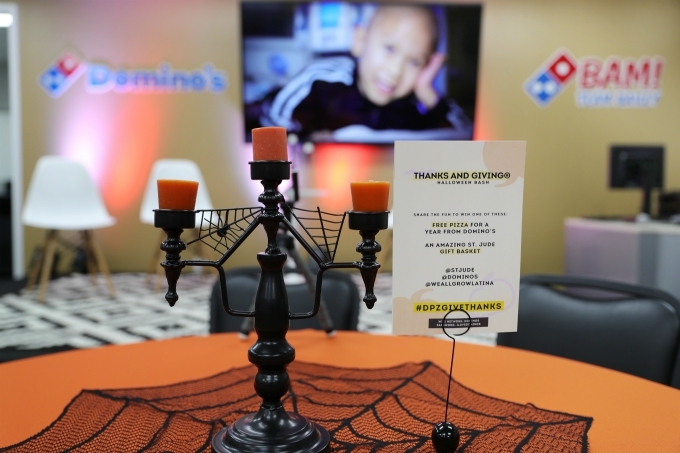 With Halloween around the corner, we joined St. Jude Children's Research Hospital and Domino's Pizza to co-host a Thanks and Giving® Halloween Bash for Dallas area influencers to celebrate the launch of the fundraising campaign. The St. Jude Thanks and Giving campaign — created by Marlo, Terre and Tony Thomas, the children of St. Jude founder Danny Thomas — is an annual tradition with tremendous public support for the hospital’s lifesaving mission. Domino’s Pizza, a 15-year partner with approximately 5,600 participating locations, has raised more than $47 million for St. Jude primarily through its participation in the St. Jude Thanks and Giving campaign. 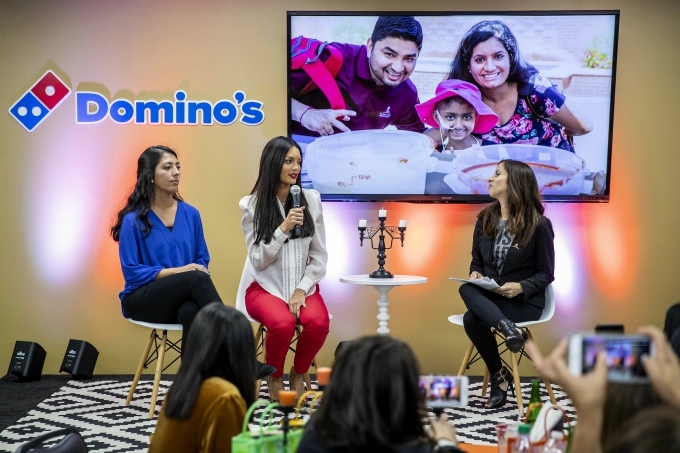 Domino’s led the way in raising funds in 2017 by raising a company record of $9 million for the kids of St. Jude, including a special St. Jude Meal Deal during the campaign, which included a $1 donation to St. Jude. Kicking off in November and running through the end of December, St. Jude Thanks and Giving is an unprecedented union of celebrities, media, retail and corporate partners that asks consumers to donate while they shop to support St. Jude. For our event, Zuleyka Rivera joined us and inspired us to be thankful and donate while she told us more about why St. Jude's mission is so important to her. We also enjoyed seeing Zuleyka have this beautiful connection with Katherin Aristondo as she expressed how much she’s learned from her strength and bravery. Katherin is a cancer survivor that joined us for this event and that during tough times received support from St. Jude. She is now healthy and strong thanks to the wonderful work at St. Jude and the many donations received. Meeting Katherin reminded us that this holiday season and always we should give thanks for the healthy kids in our life, and give to those who are not. Agradece la salud de tus niños y ayuda a aquellos que no la tienen. 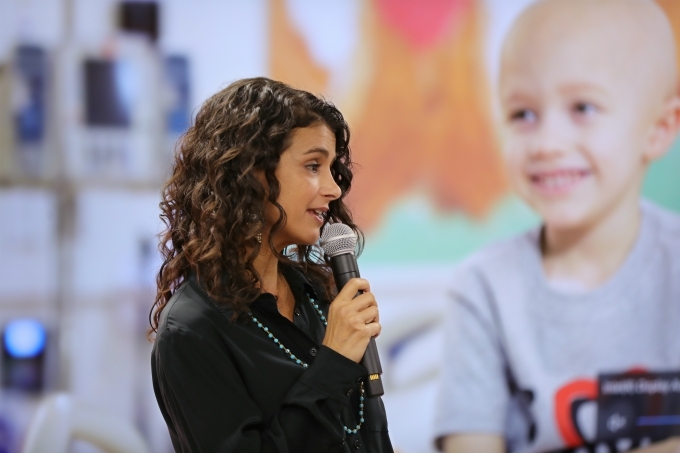 How can you join St. Jude and Domino’s in fighting childhood cancer? ¡Es muy fácil! Everyone can help raise funds that are vital to the research and treatment taking place at St. Jude by visiting participating partners like Domino’s during November and December or donating directly at stjude.org.